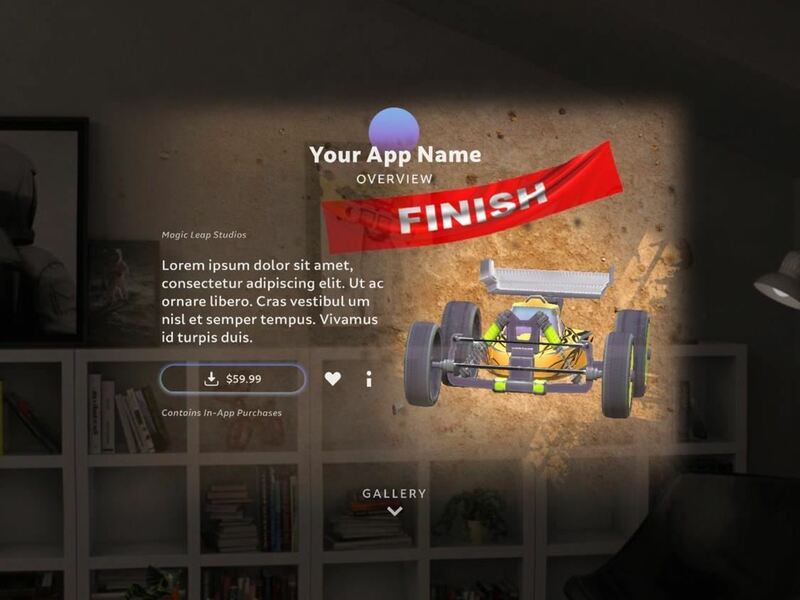 An introductory guide on the using the Lumin OS differentiates between landscape apps via the Lumin Runtime or immersive apps built with any other supported 3D engine. 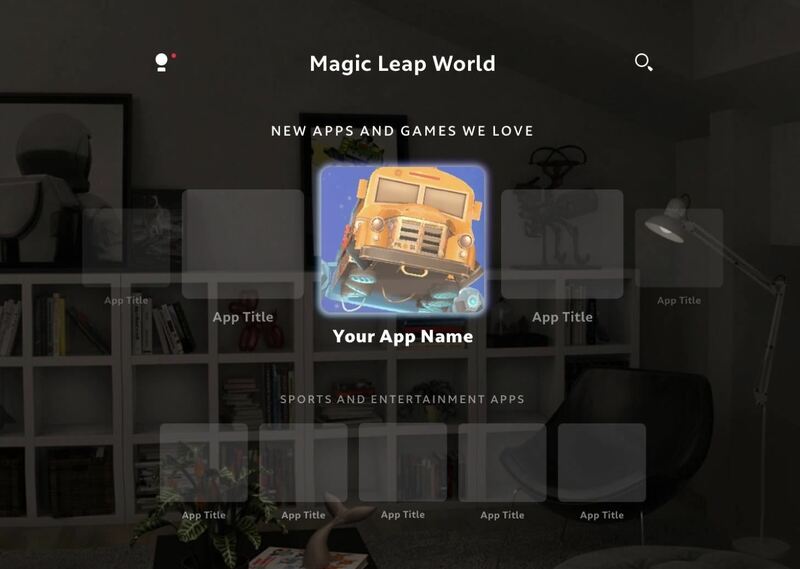 In the course of educating developers about landscape apps, Magic Leap shows off some key components of the Lumin OS interface. For instance, the app launcher is a circular carousel of eight apps and an overflow button. 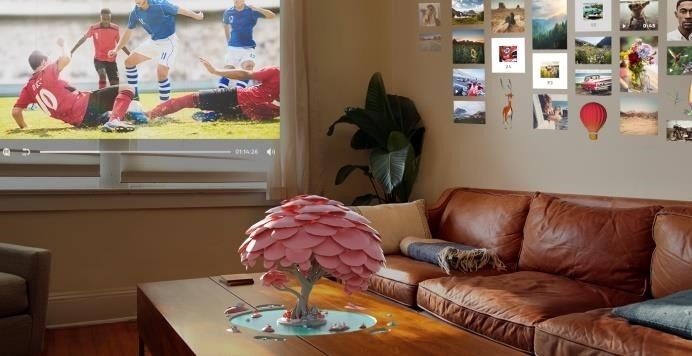 A sample scene shows how three landscape apps -- the Screens app, a 3D "learning tree," and a photo gallery -- exist in augmented reality simultaneously. 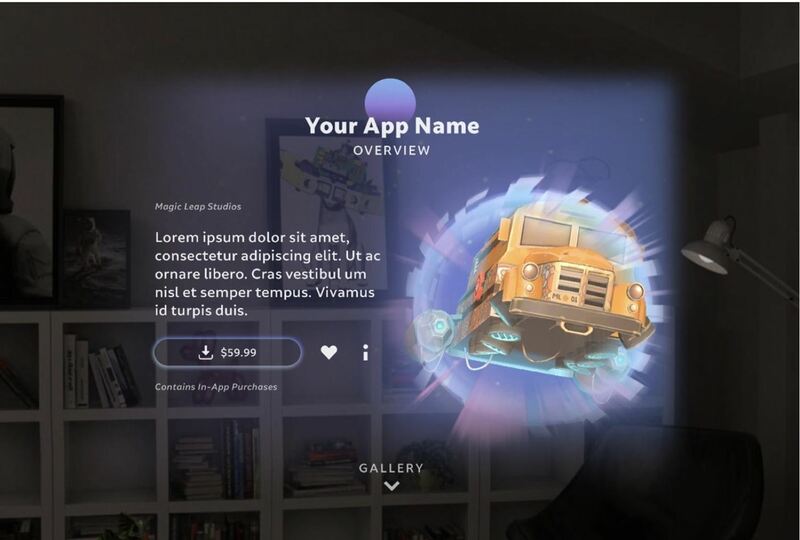 We also get a look at the UI for placing an app in the spatial environment and then closing an app, as well as app permissions. 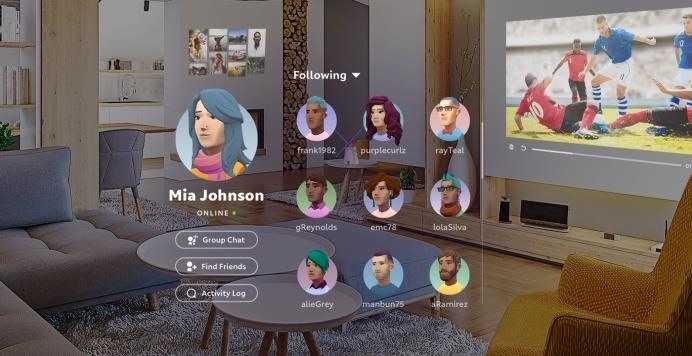 One very interesting revelation is casting, which enables ML1 users to share their view with others, who are able to view the host user's displayed content relative to the ML1's position. 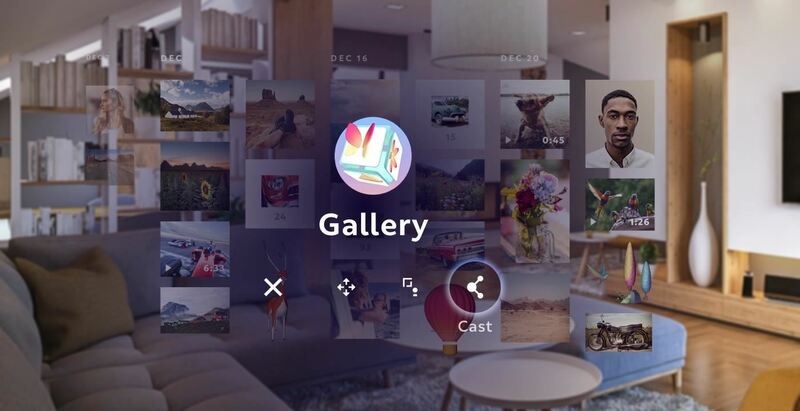 While the cast icon looks similar to the share icon in Android, actual media sharing will occur through the Gallery app. Another tutorial explains Prisms, Lumin's protocol for managing and interacting with content. 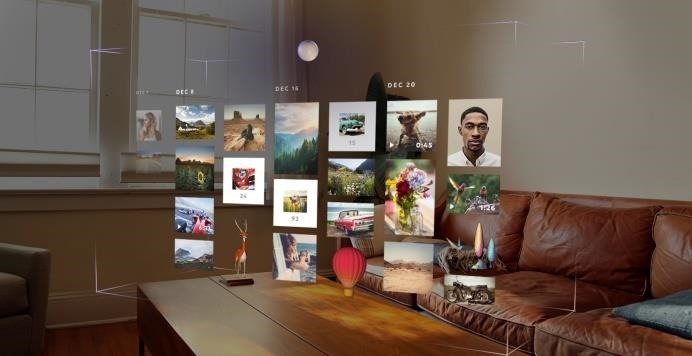 Prisms control how landscape apps are spawned in the environment and its bounds within the space. 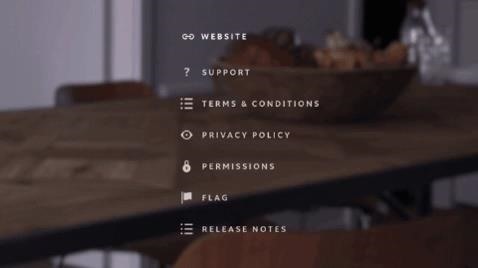 Various tutorials on design elements show off animations within the OS. 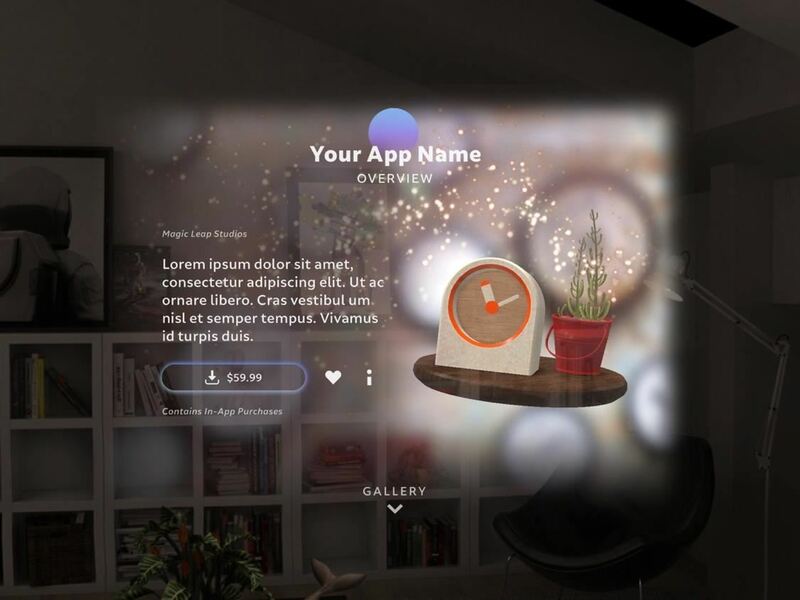 We get a look at the app launcher in motion, voice detection feedback, and gesture-based menu selection, as well as LEDs on the Lightpack and controller reminiscent of the Amazon Echo. 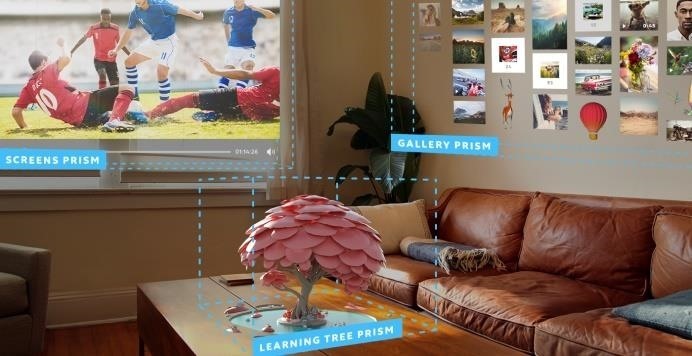 In another first look, Magic Leap previews Magic Leap World, its application marketplace, as it tutors developers on how to build Dioramas, a format for previewing apps in the spatial environment. 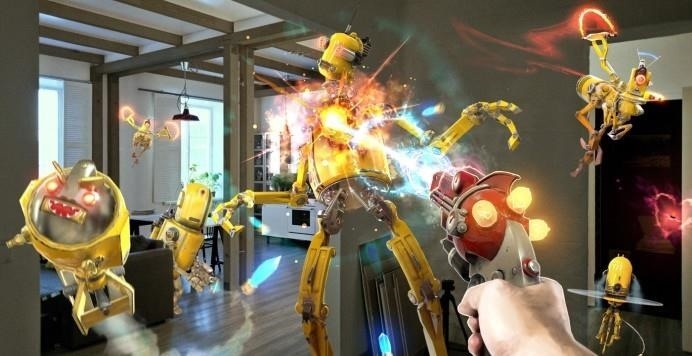 While initial demos may have disappointed some onlookers, the sum of these revelations of Lumin OS and Lumin Runtime put some shine back onto Magic Leap One in the run up to its forthcoming launch.